“The city decided to treat it like the crime of the century, yet could not prove their case,” remarked Dmitri Iglitzin, lawyer for the defendants. 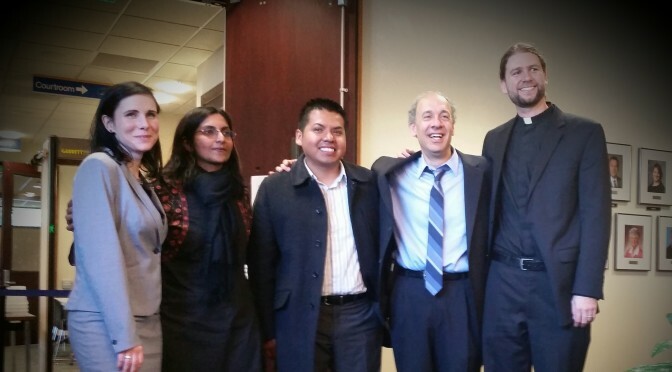 “This ruling has not only vindicated us, but has really vindicated the voters of the city of Seatac who voted in the $15 minimum wage law and all the low-wage workers around the nation who are currently in a battle for $15 an hour,”said Councilmember Sawant. Councilmember Sawant went on to say that the fight is not over, we will continue our work to ensure Seatac airport workers get what they’re owed, and importantly, to spread this victory far and wide. 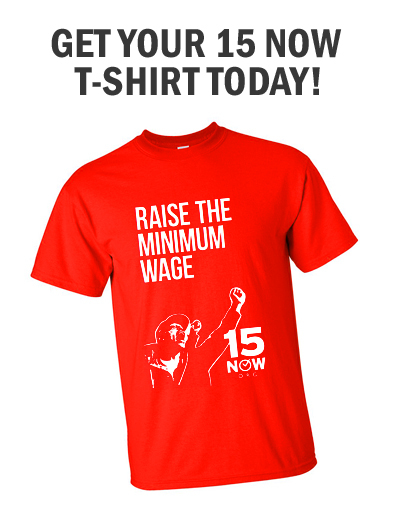 Chip in $15 to build the fight for $15! Alaska Airlines – which has netted more than $700 million in profits in the last year and half – should be charged with robbery. They refuse to follow the new law and pay their workers a $15 minimum wage, filing lawsuit after lawsuit in an attempt to throw their weight around and overturn the democratic will of the voters.They are the real criminals. “Justice prevailed today. This was a victory for low-wage workers everywhere,” exclaimed Reverend Helmiere. Justice prevailed, indeed. But, we’re not done. On this May Day, we will use this victory to boost our movements – the Fight for $15, for an end to deportations, for justice for Freddie Gray and all other victims of police brutality, and for workers’ rights to be strengthened. But, the fight against income inequality will not be corporate sponsored. We will only win if more brave people like Councilmember Sawant, Socrates Bravo, and Reverend Helmiere stand up, get organized, and demand justice. We will only win if we all join this struggle, stand shoulder-to-shoulder with our brothers and sisters, and build a powerful movement that spreads $15 across the country. Donate $15 to help build the fightback.